Israel's prime minister vowed Friday to press forward with a broad military offensive in the Gaza Strip, saying international pressure will not stop what he said was a determined effort to halt rocket fire by Palestinian militants as the death toll from the four-day-old conflict rose above 100. Addressing a news conference, Netanyahu brushed off a question about possible ceasefire efforts, signalling there was no end in sight to the operation. Hamas is out of steam. So why is it shooting at Israel? "I will end it when our goals are realized. And the overriding goal is to restore the peace and quiet," Netanyahu said. Israel launched the offensive on Tuesday in response to weeks of heavy rocket fire out of Gaza. At least 103 Palestinians, including dozens of civilians, have been killed, according to the Palestinian Health Ministry in Gaza. Palestinian militants have fired more than 600 rockets at Israel. One rocket fired from the Gaza Strip struck a gas station and set it ablaze earlier Friday in southern Israel, seriously wounding one man, and the army said the condition of a soldier wounded by rocket shrapnel on Thursday had worsened. But there have been no deaths on the Israeli side, in large part because of a new rocket-defence system that has intercepted more than 100 incoming projectiles. Netanyahu said he has been in touch with numerous world leaders, including Prime Minister Stephen Harper, U.S. President Barack Obama and the leaders of Britain, France and Germany. 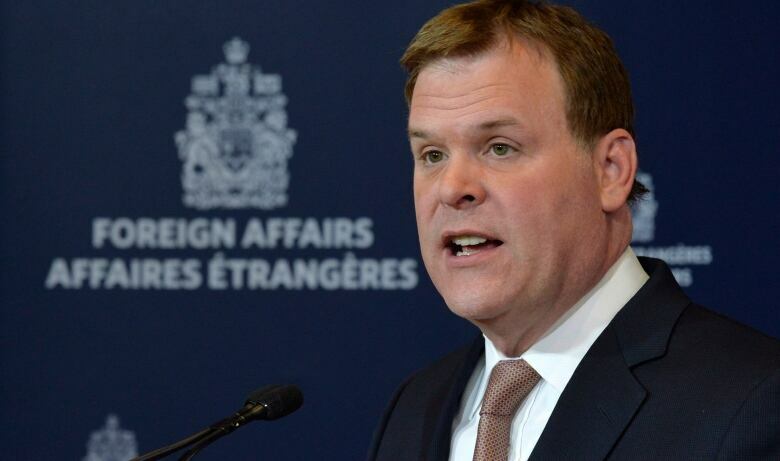 Canada's Foreign Affairs Minister John Baird said Friday that Canadians were "horrified" by ongoing "indiscriminate violence" waged by Hamas. "Two rockets landed in the West Bank, one near Ramallah, in the last 24 hours," he said. "This is not just putting Israelis at risk, it also has a real potential to hurt the Palestinian people." Baird also defended Israel's right to its offensive, saying that if "hundreds of rockets" were being fired at Canada, the public would expect the strongest response possible to make the violence stop. "Obviously Hamas can cease and desist these terrorist activities. Until then, Israel not only has a right to defend itself, I think they have an obligation to the people of Israel to defend their people," he said. Netanyahu echoed those sentiments on Friday, saying he had "good discussions" with other world leaders and told them that no other country would tolerate repeated fire on its citizens. Israel's allies have backed the country's right to self-defence, but they have called for restraint. UN Secretary-General Ban Ki-moon has expressed concern about the heavy civilian casualties in Gaza, and on Friday, the UN's top human rights official said the air campaign may violate international laws prohibiting the targeting of civilians. 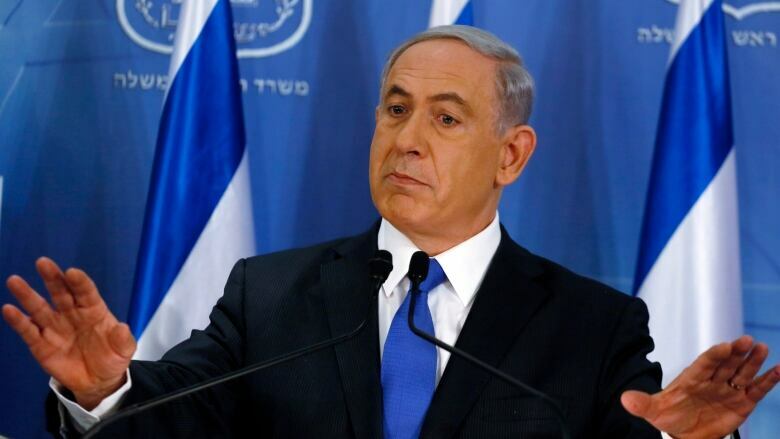 Netanyahu brushed aside such criticism, saying Israel's aerial campaign is aimed at military targets. He blamed Hamas for causing civilian casualties by hiding in residential areas and criticized the group for targeting Israeli population centres. U.S. lawmakers on Friday endorsed a non-binding measure expressing support for Israel and its right to self-defence. The resolution was made by a voice vote on Friday. It condemns Hamas for unprovoked rocket attacks on Israel. The bipartisan resolution is sponsored by Democratic congressman Steve Israel and Republican congressman Tom Cole.